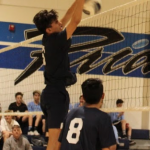 Eli Arambulo led the team in kills with 23. Jose Sanchez followed with 16 kills and countless assists. 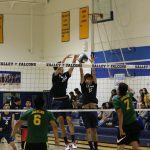 Defensively Daniel Ibarra tallied 5 blocks and Yonathan Hernandez had 15 digs. 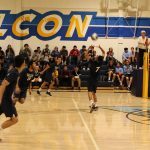 Tough and consistent serving by Kevin Gil keep Garden Grove at bay. Outstanding overall team play carried the day.